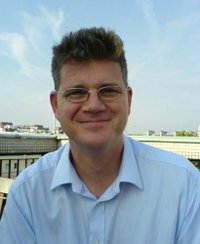 It is with deep sadness, we have learned that Danny Segal, a Professor at Imperial College and an ion trapper for over twenty years, passed away last week. Danny had been at Imperial College in the ion trap group since 1991 where he mainly carried out quantum optics experiments with laser-cooled ions in Penning traps. He had, however, also an interest in cold molecular ion physics, and was among the first to carry out Penning trap experiments combining laser-cooled atomic ions with molecular ions. He was heavily involved in the coordination of several EU networks over the years, and was one of the organizers of the first ECTI conference. The many of us who have had the privilege to meet Danny at various scientific meetings, Schools and other occasions will always remember his positive attitude and genuine interest science.